If you’re a fan of gingerbread and are looking for something uniquely different – this is it! From Yorkshire, England, Parkin is an age-old cake featuring oats and black treacle (molasses) to create a delightfully sticky, chewy cake with a deeply robust flavor that only improves with time! The year was 1728. 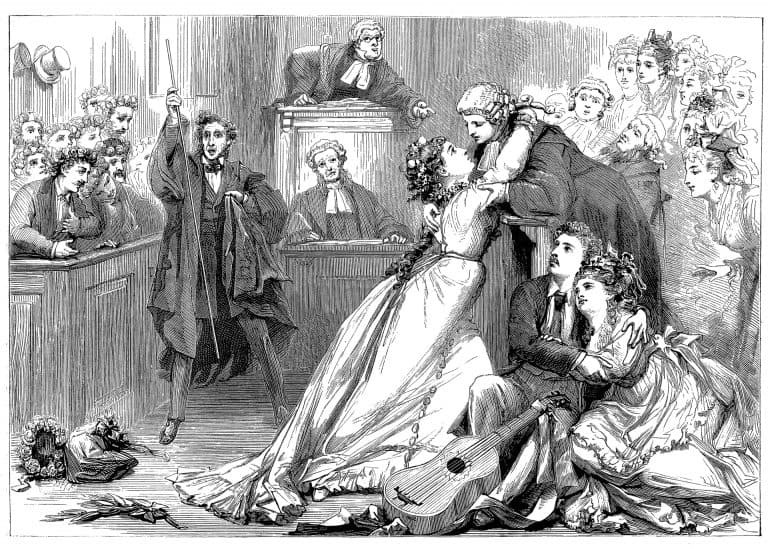 Banging his gavel, the magistrate of the West Yorkshire Quarter Session called the courthouse to order. The accused was brought forward. Standing erect in a pose of dignified capitulation, Mrs. Anne Whittaker, occupation housewife, listened as her offense was read aloud. The crime: She had stolen oatmeal. Her defense: Why, to make Yorkshire parkin, of course. The verdict: Guilty as charged but dang, was the parkin worth it! True story. And that was one of the first ever published references to Yorkshire parkin, the crime of theft, of culinary passion, all in the name of this centuries-old cake. Traditionally parkin is associated with the month of November with the first Sunday of the month known as “Parkin Sunday.” Specifically it is a key element of Bonfire Night, or Guy Fawkes Night, where the cake is eaten as part of the festivities. However, parkin is also commonly eaten throughout the winter months. This traditional Yorkshire specialty, though bearing some similarities to gingerbread, is probably very different from anything you’ve had before. 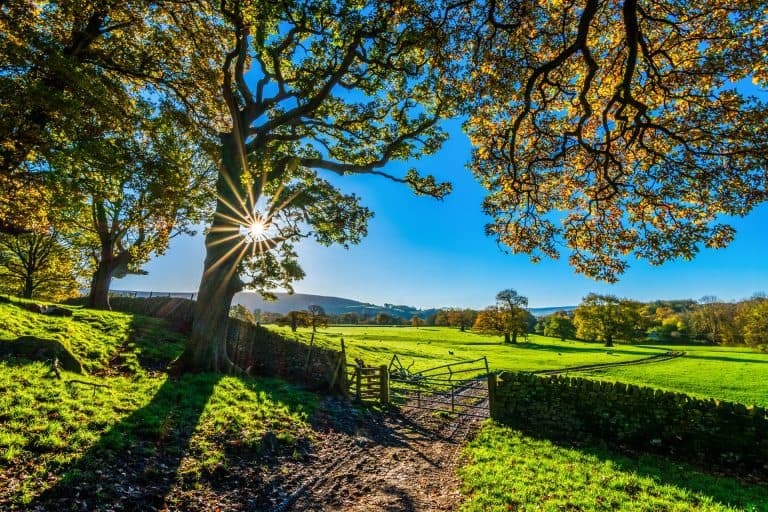 It’s as bold, hearty and unforgettable as Yorkshire itself. 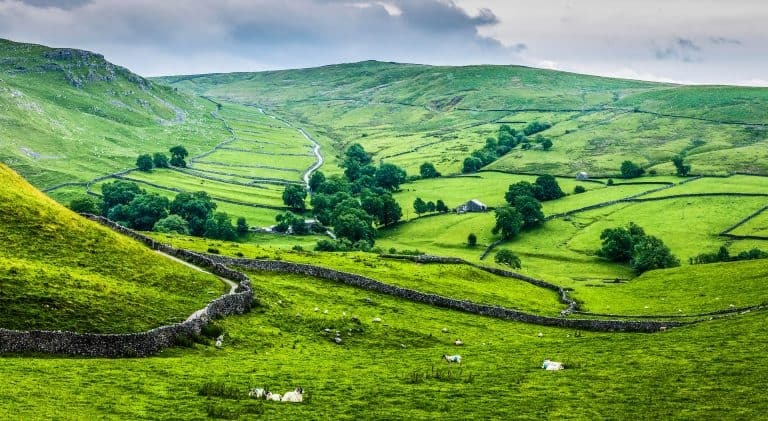 I lived in England for 6 years about two hours south of Yorkshire. We went back as a family this last Summer and spent some time soaking in this beautiful area of the country. 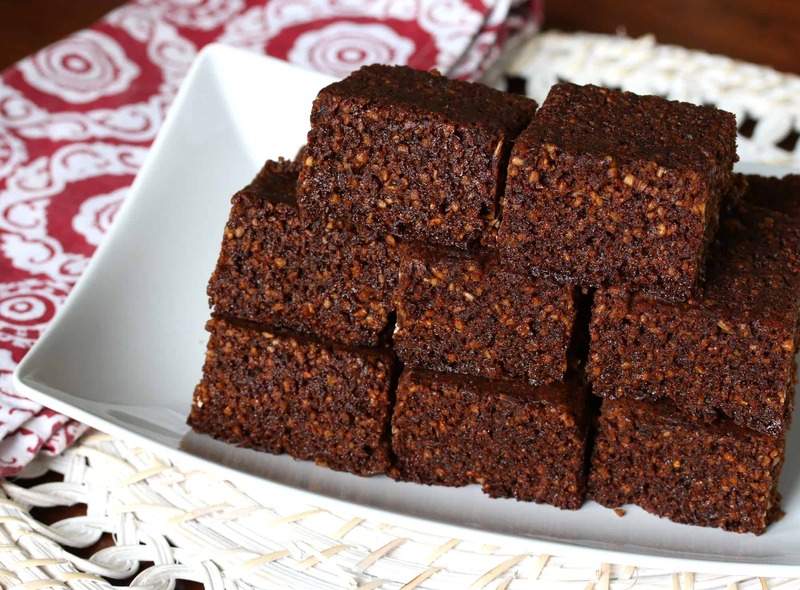 Parkin is commonly associated with Yorkshire, England though it is also eaten in Lancashire. 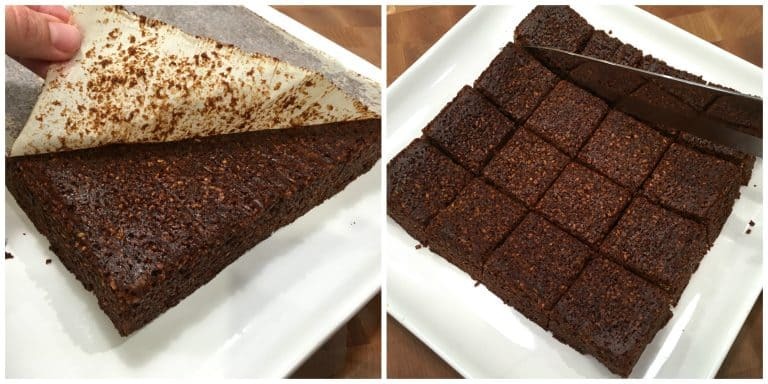 There is at least one key difference between the two versions however: Yorkshire parkin traditionally uses black treacle resulting in a very rich and dark flavor and color. Lancashire uses golden syrup, resulting in both a lighter color and flavor. Lancashire parkin also tends to be sweeter with a higher sugar content. Many modern recipes for both versions cross regional lines and use some of each. It comes down to personal preference. We’re featuring a more traditional Yorkshire parkin that is heavy on the treacle/molasses with a little golden syrup, but feel free to adjust the black treacle to golden syrup ratio according to your preference. If you’re not sure, go with less treacle and more golden syrup than what this recipe calls for – traditional Yorkshire parkin produces a very bold flavor that you may not be used to. Important Note: While you can substitute molasses for black treacle, there is no substitute for golden syrup. Corn syrup is not remotely the same thing. It is starkly different in flavor with golden syrup having a wonderfully rich, caramelized flavor. 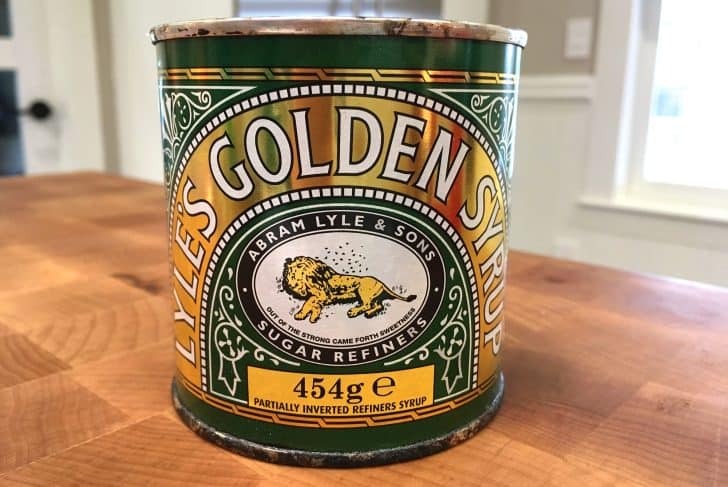 Again, be sure to use genuine golden syrup. 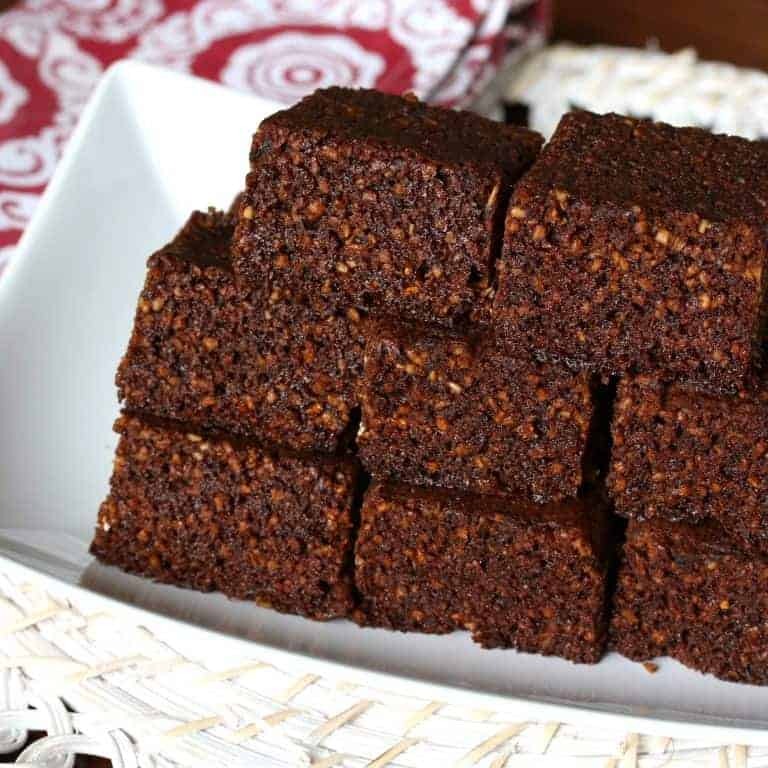 Parkin uses black treacle and/or golden syrup in large quantities resulting in a delightfully chewy, sticky cake. LET’S TALK OATS. 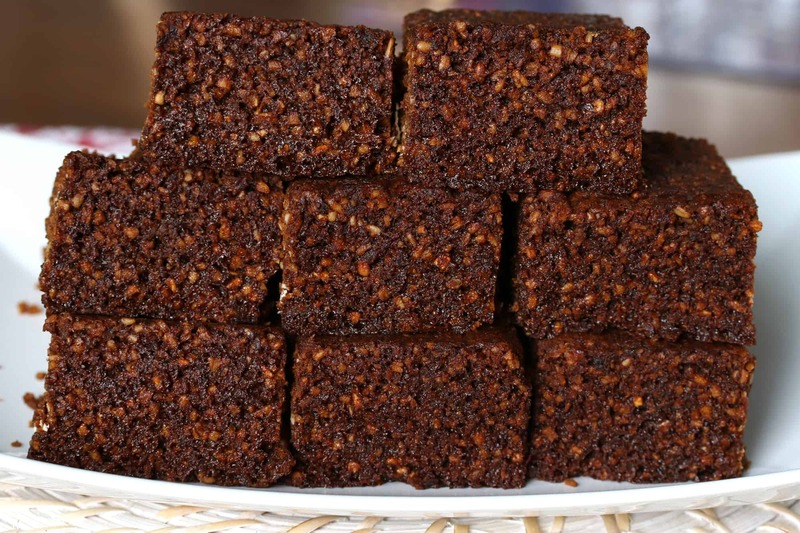 Aside from the high quantity of black treacle and/or golden syrup, another thing that makes parkin unique is the addition of oats. Yorkshire parkin simply isn’t Yorkshire parkin without oats. Oats, not wheat, were the staple grain of the poor in this region and that is the primary grain in Yorkshire parkin. The form of oats traditionally used in parkin is not rolled outs, it’s what’s referred to as medium oatmeal in England. Whole oat groats are dehusked and can either be milled into a fine, medium or course “oatmeal.” Parkin calls for medium. An easy way to make “medium oatmeal” yourself is to take steel-cut oats (also known as Irish oats in the UK) and pulse them briefly in a food processor until they are broken down but not to a fine flour, you want some small chunks to remain which will be visible in the finished parkin and contribute to that wonderful chewy texture of the cake. Traditionally Yorkshire parkin is also made with lard instead of butter. Lard adds a layer of richness and also creates a moister cake. We’re using some of each to get the best of both worlds but you can use all butter if you prefer. Finally, a very important key to making parkin is to LET IT SIT IN A SEALED CONTAINER FOR AT LEAST 3 DAYS BEFORE EATING. The resting time is what develops both the texture and the flavor of the cake and is essential. 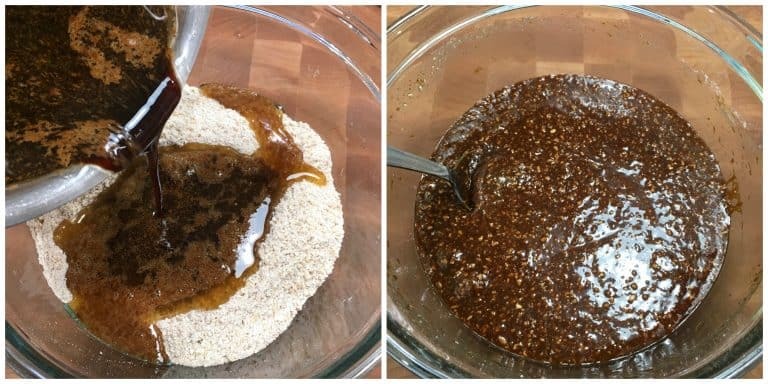 The oats will soften, the treacle and golden syrup will fully penetrate and soak through the grains, and the flavor of the spices will fully develop. So don’t be impatient, let time do its intended job! And so we present Yorkshire Parkin, that famously dark, rich, chewy, sticky, deeply flavorful cake that is the provides the perfect sweet comfort for those cold Fall and Winter nights! If you’re a fan of gingerbread and are looking for something uniquely different – this is it! And remember, even Mrs. Whittaker was willing to risk jail time in order to make it! Place the medium oatmeal (see blog post and recipe box for a description of what that is and how to make it) in a large bowl along with the spices, salt and baking powder. 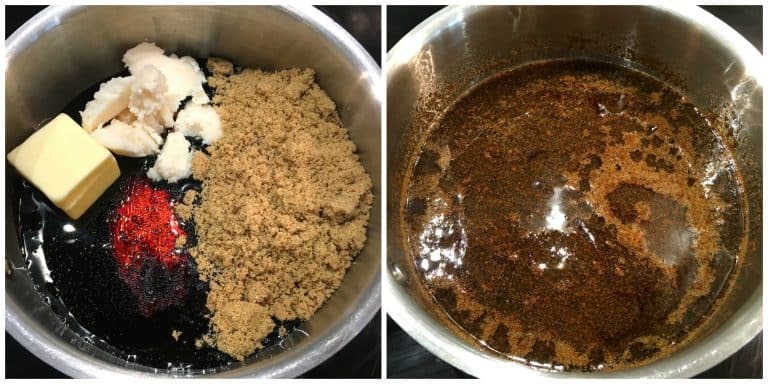 In a medium saucepan add the brown sugar, black treacle, golden syrup, butter and lard (if using). Heat the mixture until the sugar is melted (don’t boil it) and remove from the heat. Let it cool for 5 minutes. 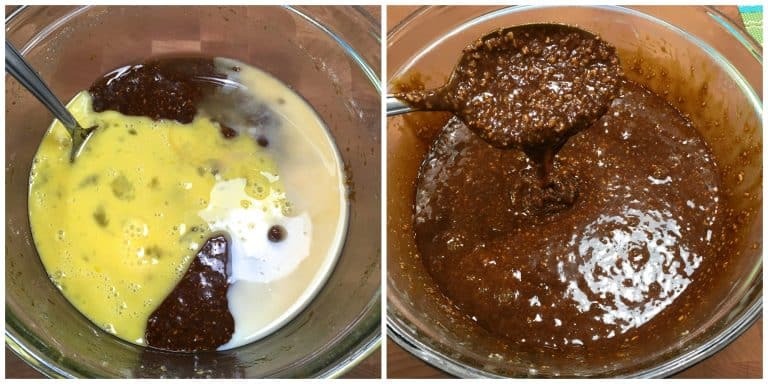 Pour the hot mixture into the dry mixture and stir well to combine. Add the candied ginger, egg and milk and stir well to combine. The batter will be liquid and sticky. Generously grease an 8×8 inch baking pan and line the bottom with parchment paper. Pour the batter into the baking pan and smooth the top. In an oven preheated to 300 degrees F, bake the parkin for 70-80 minutes or until a toothpick inserted into the middle comes out clean. The cake should be fairly firm but springy. Let the cake cool in the pan. Invert the cake onto a platter. Peel off the parchment paper. Cut the parkin into squares. Place the squares into an airtight container and let it sit for at least 3 days before eating. If you're a fan of gingerbread and are looking for something uniquely different - this is it! From Yorkshire, England, Parkin is an age-old cake featuring oats and black treacle (molasses) to create a delightfully sticky, chewy cake with a deeply robust flavor that only improves with time! Generously grease an 8x8 inch baking pan and line the bottom with parchment paper. Preheat the oven to 300 degrees F.
Place the medium oatmeal in a large bowl along with the spices, salt and baking powder. In a medium saucepan add the brown sugar, black treacle, golden syrup, butter and lard (if using). Heat the mixture until the sugar is melted (don't boil it) and remove from the heat. Let it cool for 5 minutes. Pour the hot mixture into the dry mixture and stir well to combine. Add the candied ginger, egg and milk and stir well to combine. The batter will be liquid and sticky. Pour the batter into the prepared baking pan and bake 70-80 minutes or until a toothpick inserted into the middle comes out clean. The cake should be fairly firm but springy. Let the cake cool in the pan. Invert the cake onto a platter. Peel off the parchment paper. Cut the parkin into squares. Place the squares into an airtight container and let it sit for at least 3 days before eating. This is critical (see blog post). *OATS: The form of oats traditionally used in parkin is not rolled outs, they're what we call steel-cut oats in the United States, "medium oatmeal" in England and Irish oatmeal in Ireland. Whole oat groats are dehusked and can either be milled into a fine, medium or course "oatmeal." Parkin calls for medium. 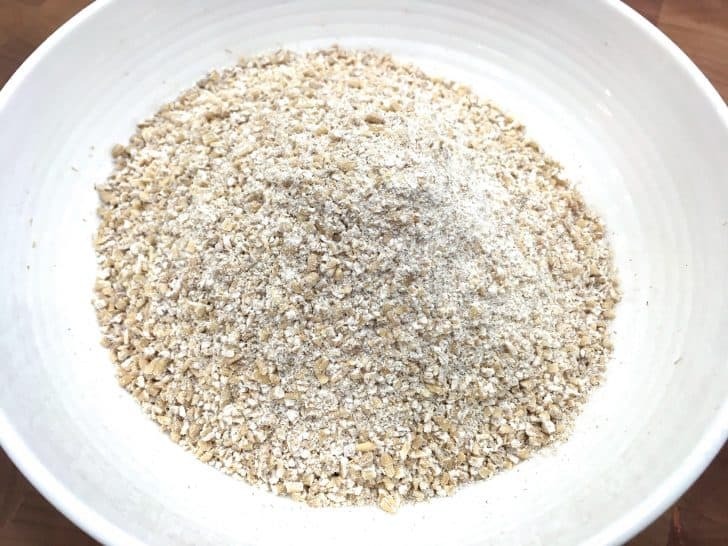 An easy way to make "medium oatmeal" per the British definition, is to take steel-cut oats and pulse them briefly in a food processor until they are broken down but not to a fine flour, you want some small chunks to remain. 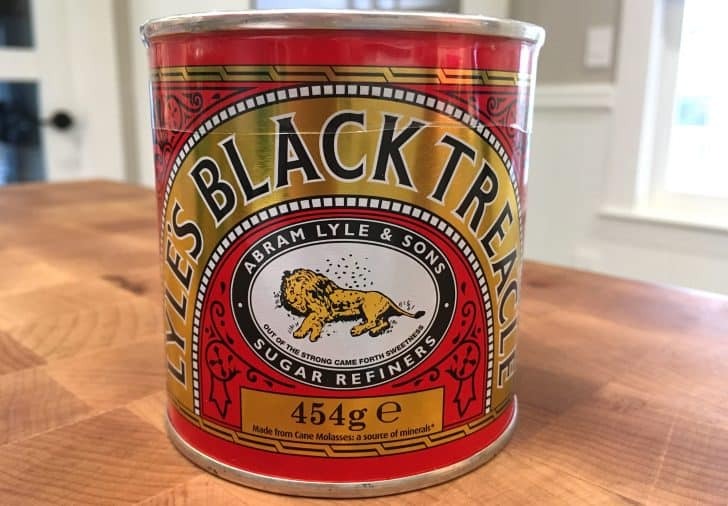 *HOW MUCH BLACK TREACLE? Yorkshire parkin traditionally uses black treacle (molasses) whereas Lancashire parkin uses golden syrup. Many modern recipes cross regional lines and use some of both. What the ratio is comes down to personal preference. If you prefer a traditional Yorkshire parkin with a very deep, robust flavor use more black treacle. If you prefer the flavor to be a little lighter, substitute more golden syrup for the black treacle. If you're not sure, go with less treacle and more golden syrup than what this recipe calls for (traditional Yorkshire parkin produces a very bold flavor that you may not be used to). 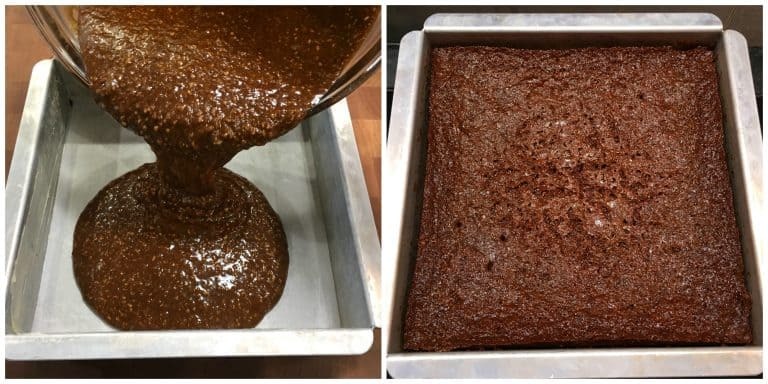 *An important key to making parkin is to LET IT SIT FOR AT LEAST 3 DAYS BEFORE EATING. The resting time is what develops both the texture and the flavor of the cake and is essential. So don't be impatient, let time do its intended job! Haha, I LOVE the story behind this cake! I LOVED reading this! It’s fascinating to know the background of a recipe especially from a different country. This cake sound delicious. I LOVE gingerbread so I can’t wait to try this cake! Thank you for sharing this recipe! This is really interesting! Love the story behind the recipe! Can’t wait to give it a try! This has taken me right back to my early years as a housewife in 1973. 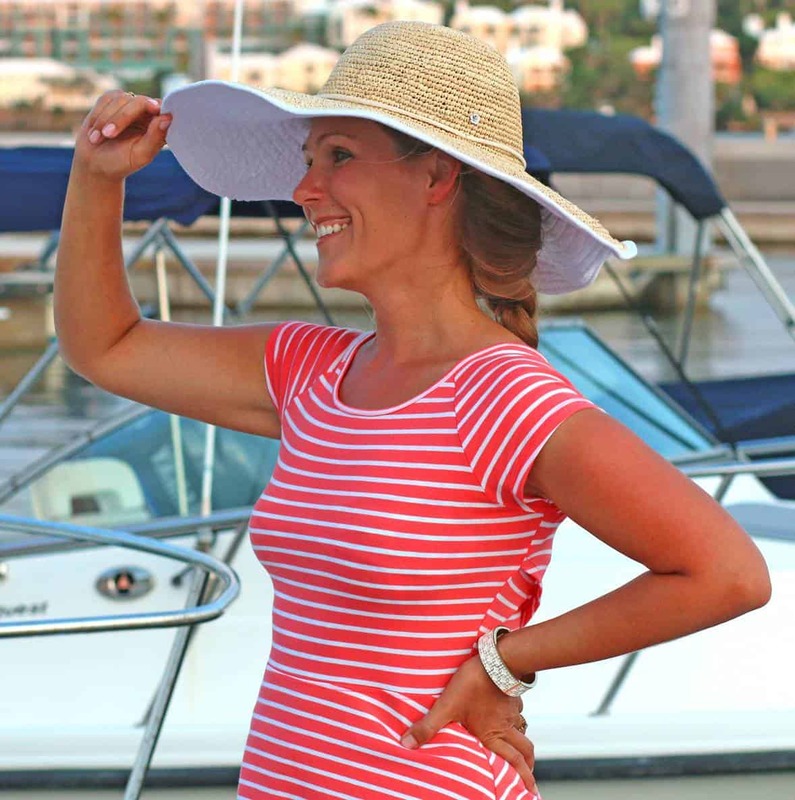 We had moved to a new housing development fifty miles away from everything we knew and, with very little money coming in each week, I had to budget carefully. My neighbour was from Yorkshire and we got on very well together, looking after each other’s children so that one could have a little time alone (we are still friends and regularly lunch together). We used to share recipes and she gave me one for Parkin which came from her Great Grandmother and was dated to about 1850 and handwritten in a journal. I copied it and used it many times, especially at this time of year to celebrate Bonfire Night. I shall look it out later and, if it differs greatly from yours I will let you know in what regard it does so. Such a fantastic cake!! I bet it tastes ahhmaazing! YUM!! I will have to give this dessert a try. The combination of flavors sounds like a great authentic taste. This checks all my holiday boxes!I bet this smell so good! This is awesome! I love everything about this recipe, need to try this! This cake seems to be so rich and looks fantastic! This needs to happen! So flavorful! Melt lard, syrup and ginger together. Warm the milk; add the oatmeal and flour to the lard mixture. Mix warmed milk with soda and add to first mixture. Put in baking powder then mix thoroughly. Pour into pan lined with greased grease-proof paper. Bake for 1 hour at 150 C or 325 F.
Wow amazing recipe with full of nutrient. Many Thanks for posting this recipe, I will must try to home. Love your recipes Kimberly, thanks. There’s a typo in the Yorkshire Parkin recipe, step 5 says cooking time 70-80 minutes….way too long! Thank you, Anne! It is 70-80 minutes, it’s baked low and slow at 300 F/150 C. Thank you for catching the wrong time in that other section.